Microsoft’s hybrid email/IM app which leaked back in May is now official. Today, the Windows giant said a new app called Send is launching exclusively on the iPhone. 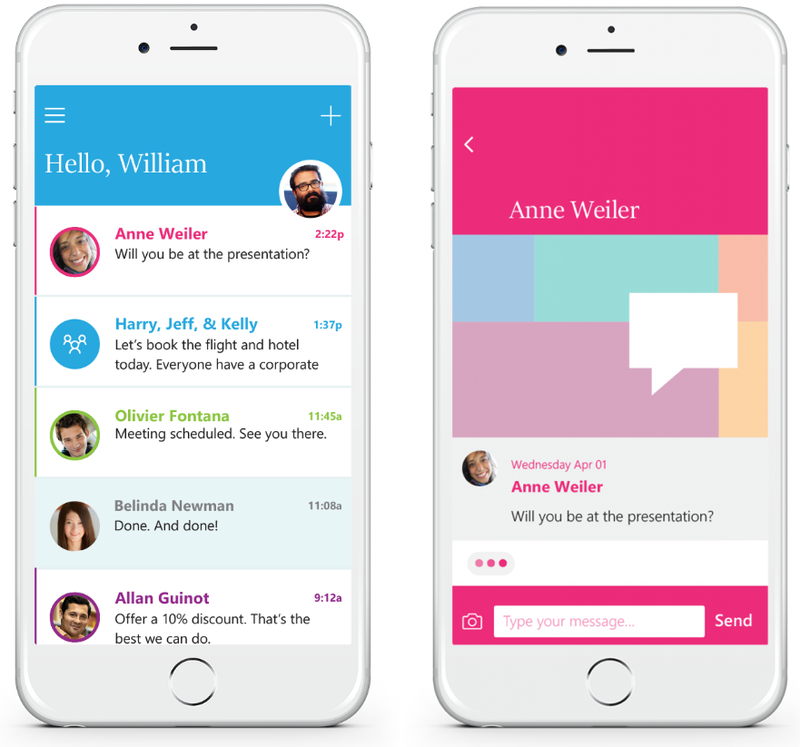 Designed for “in-and-out email,” Send for iPhone lets you engage in brief and snappy communications with co-workers using quick text message-like conversations without a subject line or formal email constructs. All of your communications gets automatically saved in Outlook for reference later. Send does away with the traditional features of email such as signatures, subject lines and salutations. Akin to instant messaging applications, the app provides a visual indicator when someone is typing their response. Moreover, Send shows you just the emails started in the app, not your whole email archive. But don’t worry, messages sent through Send are delivered to your email inbox and people you message can respond from anywhere, even if they don’t have Send. A Microsoft Garage project, Send works with Office 365 business and school email accounts and, as mentioned before, is specifically designed for get-in get-out situations when you just need to send a quick, short note but want those exchanges to still be archived and available as regular emails in Outlook. Even though they appear as instant message exchanges, Send messages are treated like any other work email and comply with work email compliance policies. Some examples of Send messages include straight-to-the-point messages such as “Let’s chat in 10,” urgent ones like “Don’t send the presentation yet” and simple back-and-forth conversations like “Are you in the Office today?” “No”. “Our design principle for the app was to make conversations fast and fluid while keeping the people who are important to you at its core,” said the software maker. Like regular email, Send lets you message anyone with an email address and keeps your conversations threaded across platforms. 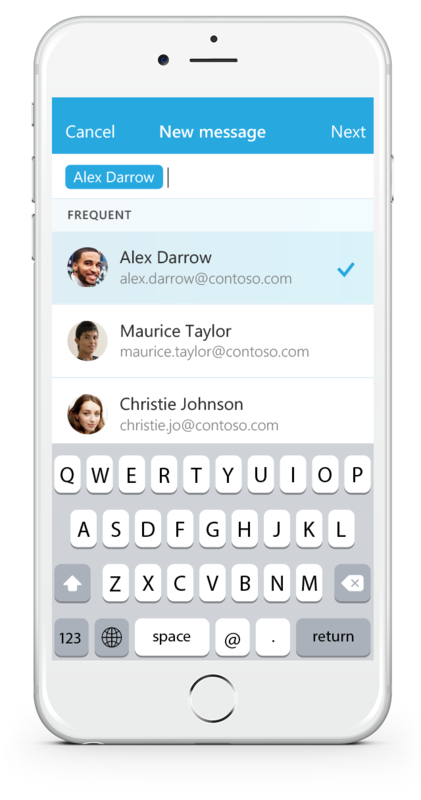 The app puts frequent and recent contacts from Office 365 business and school email accounts just a tap away. Send is currently available exclusively for the iPhone in the United States and Canada, but Microsoft has pledged to bring it to Windows Phone and Android phones soon. Send requires an iPhone or iPod touch with iOS 8.0 or later and Office 365 for work or school email. Download Send for iPhone at no charge from the App Store. 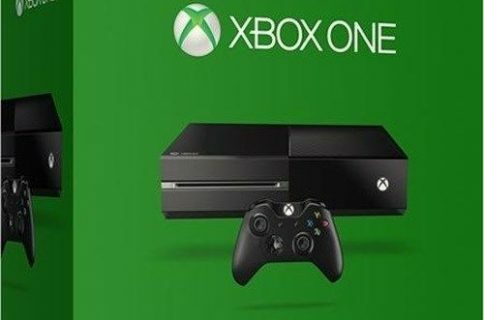 The app is currently available in the United States and Canada only, though Microsoft plans on expanding Send to additional markets sooner than later.